The ISHI or F~ISHI for fishing is designed to hold almost any fishing rod and secure it in place with an adjustable tension, ratchet strap system. The F~ISHI has a flexible not rigid body so it absorbs torque and pull on the rod that creates a sensation, a “feeling” much like a normal wrist. It is resilient and strong. Preset the size of the opening or aperture in the F~ISHI and the rod can be inserted or removed quickly… or cinch down the strap for a tighter control over the rod. 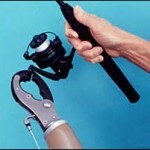 The design allows the rod to be held at a functional angle for good balance and easy reeling. 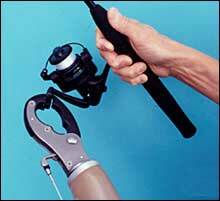 One model fits either right or left prostheses. Standard prosthetic threaded fitting. Functional for both fresh and salt water. The F~ISHI can be custom ordered and fabricated – molded for big game, salt water, fishing challenges! *Please see the section on TRS Grip 2S and Grip 3 Prehensors. 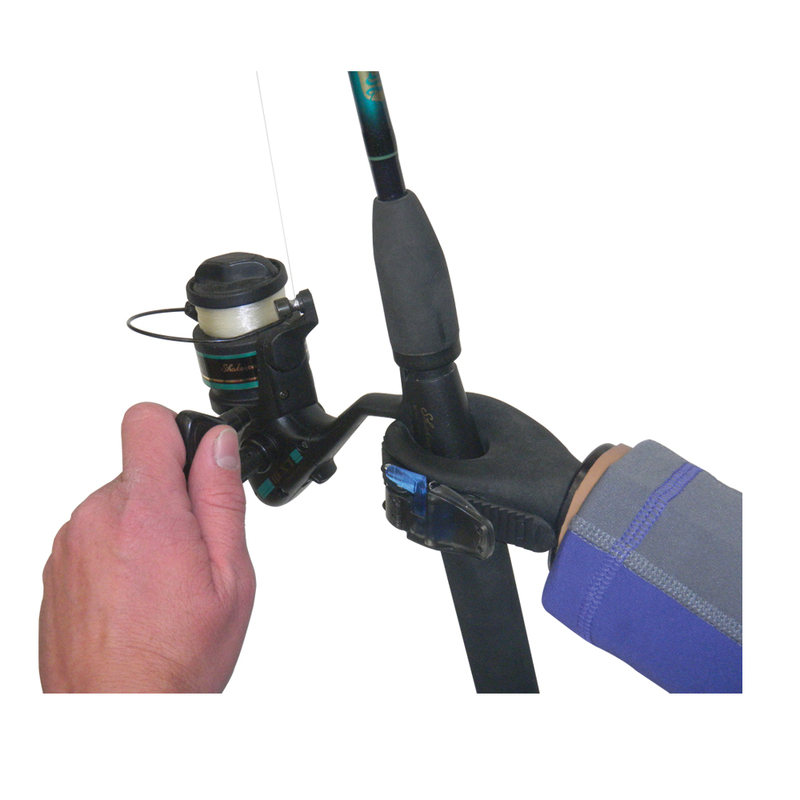 These devices are highly functional and can provide persons missing a hand with the gripping force and control required to handle a wide variety of fishing equipment and accessories. Minor equipment modifications are sometimes required to optimize performance.